Aboriginal people arrived in Australia around 50,000 years ago and reached the Murray-Darling River system about 40,000 years ago. The earliest evidence of human occupation found in Australia is at Lake Mungo in Western NSW, not far from the Darling River. Records indicate that Aboriginal people have been living along the Darling River for over 30,000 years. Aboriginal culture can be traced back at least 45,000 years. In western NSW, many Aboriginal groups can be clearly identified. 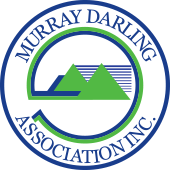 Within this region, most of these groups lived along the waterways that make up the Darling catchment. For these people, the river was the centre of their existence and they have lived with its constant changes over 30,000 years. The Warrego, Paroo and Darling Rivers and their floodplains provided not only a cultural base, but also, sustained life by providing food, water, medicines, shelter, transport, fire and spirituality. Distinct tribal groups lived along specific sections of the Darling and its tributaries. The Paaruntye lived on the Paroo, while the Naualko and the Kurnu people lived in the upper catchment. The largest group was, and still is, the Barkindji, whose region stretches from Wentworth almost to Bourke, although their concentration was traditionally greater in the southern regions of the river. The Aboriginal name for the Darling River is Barka, Barkindji literally means the people of the Barka (the river). The upper catchment provided Aboriginal people with a wide range of caves and rock shelters. Along the river, people lived on the beaches and banks of channels and lakes or in nearby sand dunes. The best campsites were where a combination of resources could be found. At Wilcannia, for example, small lakes near the Darling provided food while nearby rocky hills provided materials for stone tools. Menindee was a favourite camp site where a cluster of lakes occur at the junction of the old and new river channels. Fish was a favourite food of Aboriginal communities living near the river. The people used spears, nets and traps to catch fish. When the rivers were full, big nets were used to catch large numbers of fish for ceremonial gatherings. Fish weirs and stone traps were also built to catch fish returning from the wetlands into the main stream as river levels fell. There are a number of sites that reveal the extent of Aboriginal fishing on the Darling. Several of these are at Lake Tandou (south of Menindee) which reveal the remains of large fish, turtles, yabbies and even platypus. These sites are about 24,000 years old. The size of remains indicate that there were large numbers of people to feed at the time. The stone fish traps at Brewarrina are not only significant but were by far the largest and most complex of these types of fish traps in existence. Like elsewhere in the Murray-Darling Basin, the arrival of Europeans had a significant impact on the people of the Darling River. The first contact with white settlers occurred in the 1820s. Guns, axes, fences and disease all had a major impact and by the late 1830s, Aboriginal groups were rapidly losing access to waterways, land and sacred sites. It appears that many sheep runs employed Aboriginals as shepherds and supported their camps, however, cattle owners wanted to get rid of these Aboriginals. However, as the pastoralists expanded, hostilities broke out and are reflected in two major confrontations in the Darling catchment – at Myall Creek and Rufus River. In 1850, Governor Fitzroy created 20 Aboriginal reserves in the headwaters of the Darling. Between 1885 and 1894, the Aborigine Protection Board established additional reserves, one of these was at Pooncarie. Their creation marked the end of shared occupation and the beginning of severe restriction on Aboriginal access to land. The 1930s saw intense pressure on Aboriginals, particularly in the Darling tributaries, as well as conflicts over access to land and sacred sites. Many Aboriginals were removed to remote stations, often far away from their traditional lands. Despite the wool boom of the 1950s, the gradual reduction in pastoral work and the closure of remaining Aboriginal camps in the Western Division, led to the growth of Aboriginal populations in towns like Wilcannia and Walgett. In the 1970s and 1980s, NSW laws saw many of the surviving reserves and housing settlements along the Darling placed under Aboriginal ownership and management. Local Land Councils were established to enable Aboriginal people to buy land and many large and viable properties were bought. In the 1990s, Native Title gave Aboriginal people the right to claim access and other rights on non-freehold land. Native Title claims have been made along much of the Darling River, but few have yet been determined. The most important change has been the recognition of an Aboriginal role in heritage and environment protection. Mutawintji, north of Broken Hill, was the first national park in NSW to be transferred to Aboriginal ownership. 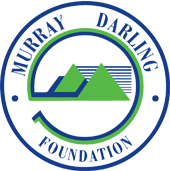 Today, although most Aboriginals live in towns along the Darling, they have strong connections to their country. Also, strong beliefs and a determination in the last few decades have progressed and gone some way to reinvigorate cultural pride. There has been an increasing interest in Aboriginal heritage and recognition of a role for Aboriginal people in ownership, management and responsibility for land, parks and waterways. More and more places across Australia are integral in this process of acceptance and understanding. The Darling catchment has some important areas that provide an opportunity for people to experience Aboriginal culture and heritage and to learn about its significance. National parks can provide some of the best experiences. Along the Darling, they include Gundabooka, Kinchega, Mungo, Mutawintji, Paroo-Darling, and Sturt National Parks. The protection, preservation, maintenance and acknowledgement of Aboriginal identity, culture and heritage is vitally important to the people of the Western Catchment. Working as groups and individuals they have formed numerous partnerships and signed off on memorandums of understanding with local, State and Federal Governments and their agencies in caring for the Catchment. These agreements aim to ensure a joint approach to the preservation of Aboriginal heritage in the Western Catchment of NSW. The Kureinji people are a kinsmen group who share country with many others. We are few but we are many and can be found on along the river from Nyah to Perry Sand Hills. These are our songlines. My father’s songlines where given to him by his grandmother and this was passed down from her grandmother, that is how it works you see! I am connected to this country by my grandmother; she was born on the river bank just like those before her and just like me. The site known as the Old Pooncarie Mission is located eight kilometres west of Pooncarie Township on the Darling River. The mission site is Western Lands Leasehold and is bounded on the western and southern sides by the Darling River. The property forms part of the Darling River floodplain and is subject to occasional flooding. The area is covered with an over-storey of native vegetation of riverine woodlands and a highly-modified under-storey and ground layer. By 1880, almost all the Darling River region was divided up into pastoral holdings and many Aboriginal people provided labour for the landholders. Following the establishment of the Aboriginal Protection Board in 1833, Aboriginal reserves were developed, including the Pooncarie Mission. The Pooncarie Mission closed in the early 1930s when mission inhabitants were taken to the Menindee Mission. With the closing of the mission, the land became part of Menincourt Station until February 2001 when the land was acquired by the Indigenous Land Corporation. There is currently a proposal before the Indigenous Land Corporation to enter into an agreement with the Barkandji people for management of the Old Mission land subject to a viable management plan being developed.